Oh my goodness are you going to have a great time in New York!!! We live in Maryland so NY is only about 4 hours away. My friend and I went on a day trip up there on Saturday. Just walked around, shopped til we dropped, ate, people watched…. had an AMAZING time! We are going back in June and we are staying overnight! We are taking the kids out of school and just heading right on up there. You deserve everything good that is coming your way. Thanks for allowing us to share Southern Plate with you. 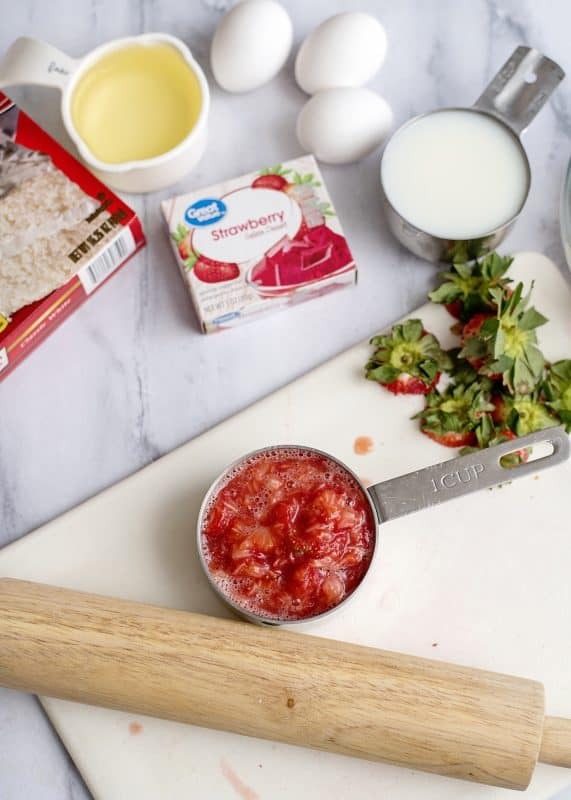 Just to be sure, if I have 1.4 oz strawberry (royal) jello would I use 2 boxes? It won’t be exactly 3 oz. 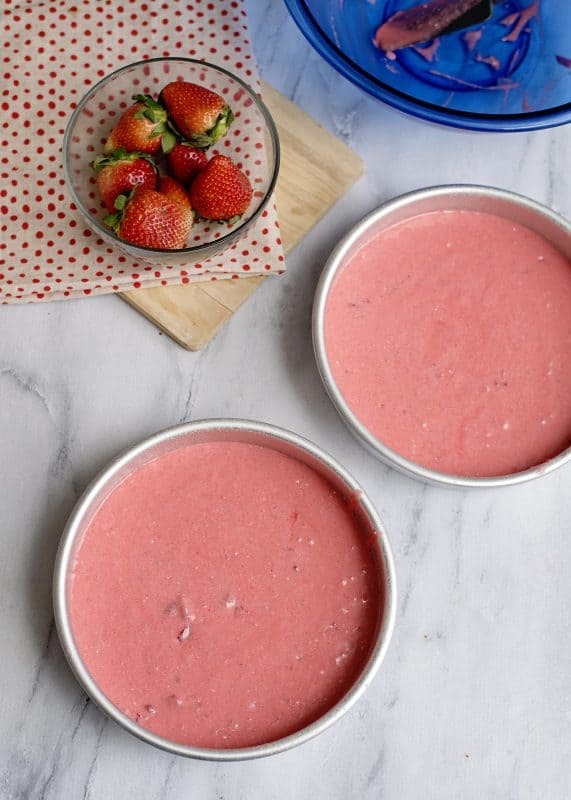 I made your strawberry pie with the crust you make right in the pie pan and it was great! Two question on that- it took 25 min to cook the crust. Could that be because I used a glass pyrex not metal? Also, would you add butter extract to the crust? A beautiful cake!!! Looks absolutely delicious!! Lawd… this looks delishous! Can’t wait to get some fresh berries here in NC, this will be on my table soon. It’s your story ..tell it like you want too girl….Those eggs aren’t shy…. we all know they are petrified… scared they will get beat like the others…… LOL!!! Thank you for all you so Mrs. Christy! Trying to wait patiently for your BOOK! October is soooo far away…. 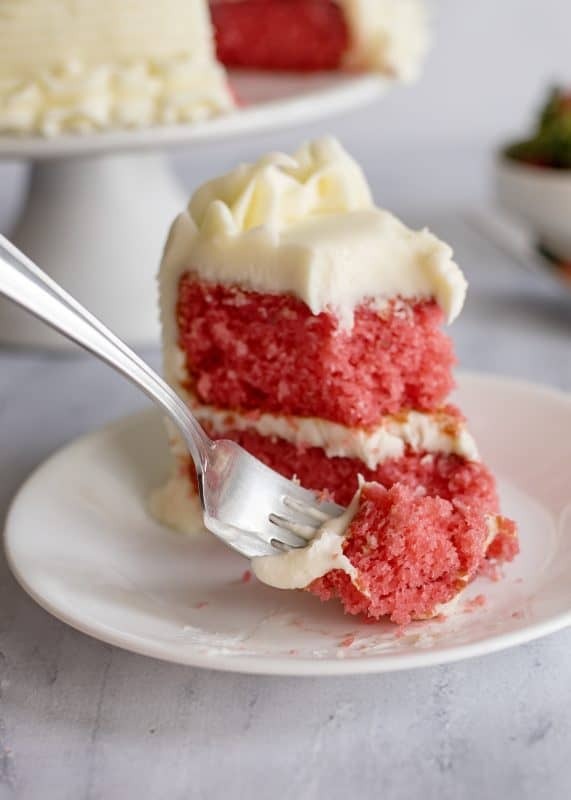 If this cake doesn’t scream “Southern” get-together….I don’t know what does! 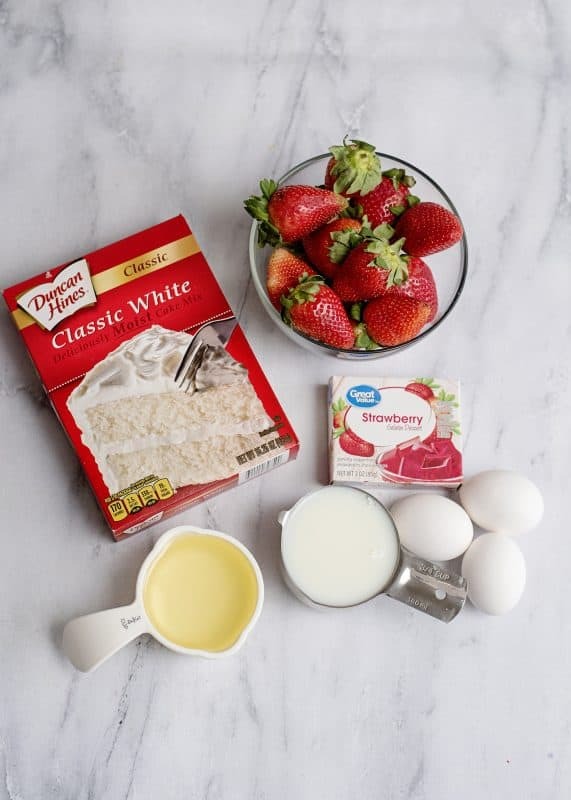 Wow, I can just taste the fresh strawberries right now, the delicate cake and cream cheese icing. Someone will hafta slap me, cuz I’m a’gonna think I am dreaming when I make this cake and take a bite. It just “don’t get no better than this”. My mother-in-law in Augusta makes a cake like this so delicious your eyes roll back in your head. I have laughed so hard at the fact you actually made a VIDEO, yes, a video…you silly goose….. of the cake batter in a pan, dropping onto the countertop. Christy, girlfren’, you are full of funny. And your blatant disregard of instructions of adding “gradually” to being a rebel that “dumps all at once”…my, my, you are gonna get the Recipe Police knocking on your door by nightfall ~gets my Bail money together to come get you out~. 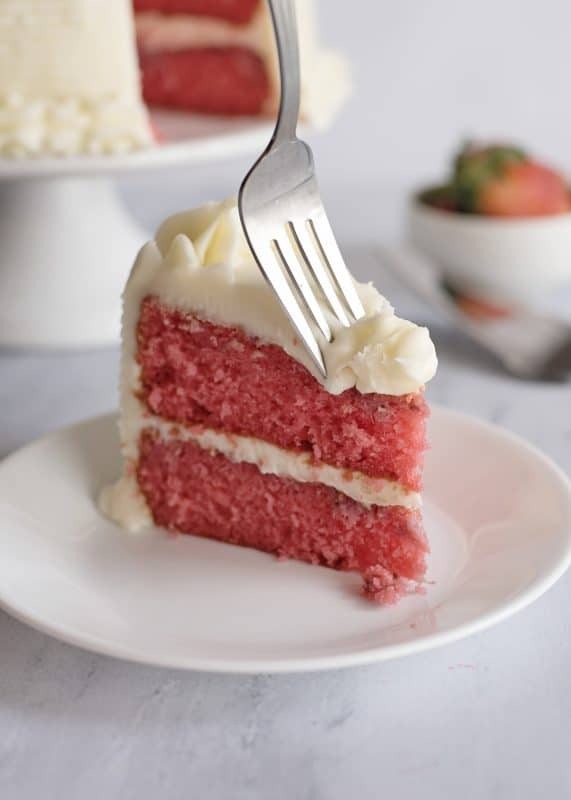 SOOOO, after you get outta Kitchen Jail, I would like to share a piece of cake with you, and talk about your New York City trip that you have always dreamt about. Love ya, my silly friend. T.
My little one’s third birthday is in a few weeks, and I was trying to figure out what kind of cake to make. 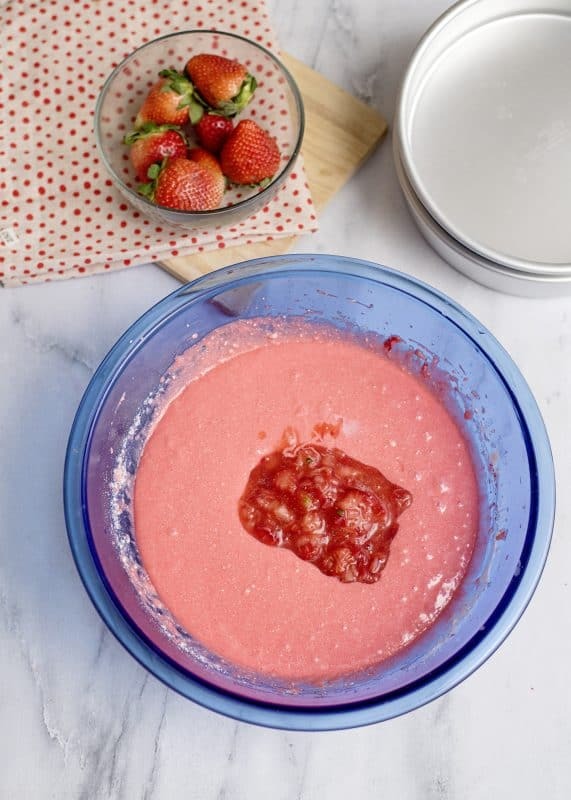 She LOVES strawberries – so I think you just made up my mind! Thanks, Christy! I have been lurking since I found your site a short while back. I am a Dixie transplant living in Kansas. I miss my beloved south but I still cook like a southern girl! Looking forward to your book. I just LOVE the way you have the pictures & comments! You crack me up! Thank you soooo much for your sweet spirit! You are just precious! My Mother (the cake lady) is going to love this recipe. Thank you! By the way, I don’t do gradual in my kitchen either. I loved your video Christy. I just know you’re going to love New York. I’ve only been there once. But I hope to go back one day. Spring is a great time for your visit. I know you’re going to have a blast. Now don’t you miss a chance to go to the Empire State building. You have to do that. Have you ever seen “Sleepless in Seattle” or “An Affair to Remember”?… then you know you have to. And you have to get a hot dog from a little man selling them on the street. You just have to. My daughter and I kept putting it off. Then forgot about it all together, my biggest regret on the whole trip was leaving before I ate my hotdog on the streets of New York. : ) Next time it’s first on my list of thing’s to do. Blessing’s to you and your’s! We call them “dirty water dogs” here in NY and I love em. Sheila I hope you get a chance to have one soon. 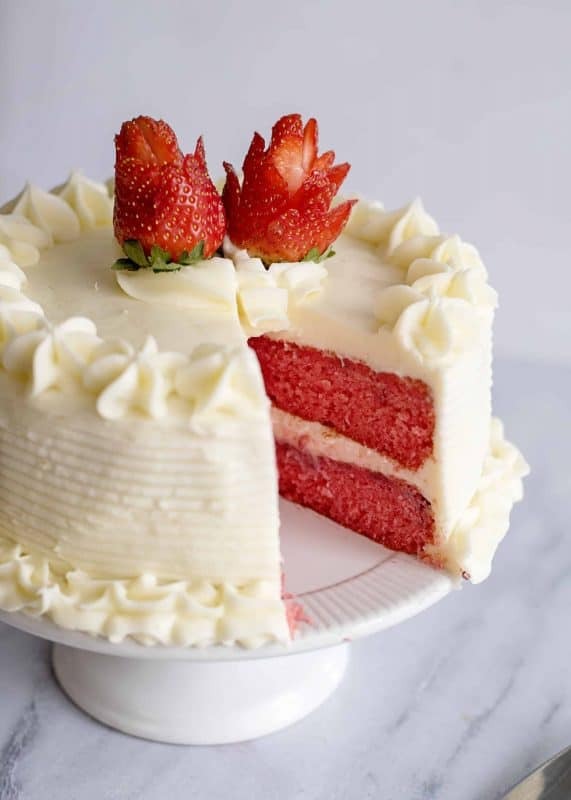 The strawberry cake looks awesome! 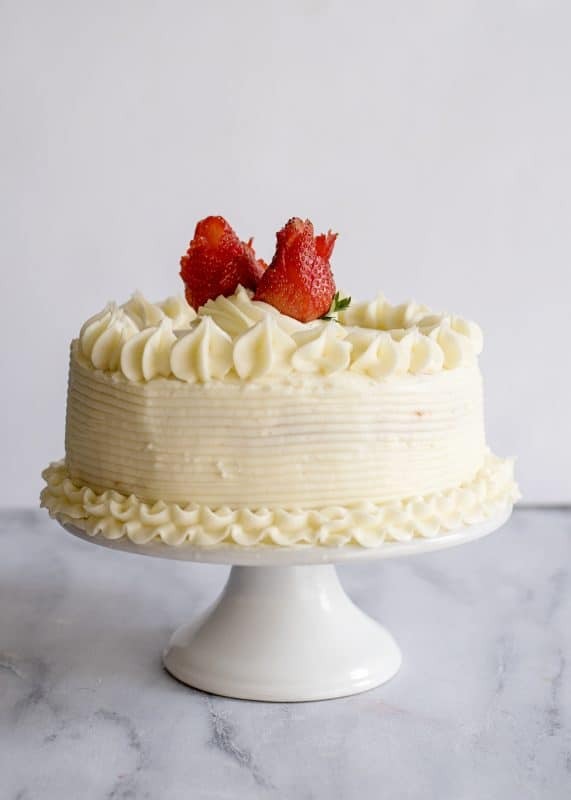 I’ve never made a strawberry cake, but I think I will now! I’m sure you will love New York City. I’ve been to Long Island but it was for work and I didn’t get to do any sightseeing. My hubbie and I are so looking forward to meeting you and huggin’ your neck when you come to the DFW area on your book tour! I allow myself one “good cheat” per week and this cake says it all! Also, congratulations on your current successes and those yet to come. Since I found your website(a month ago), I’ve been living vicariously through you and enjoying every moment! Good grief Christy, love you girl. Thanks for all that you do in sharing your recipes with us. 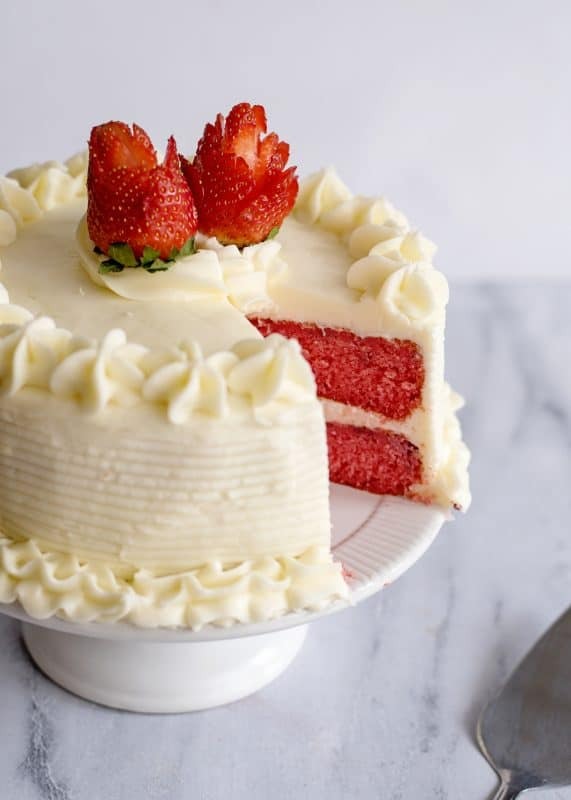 That cake looks so good I want to take a bite out of my monitor. 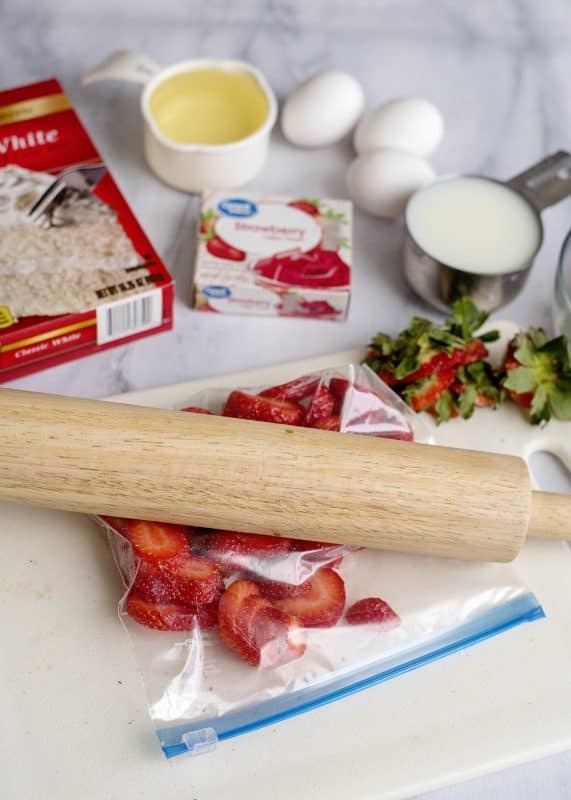 I have what I need to make it but the strawberries. I don’t see how you do all that you do. You are the sweetest person, wish you were my neighbor, and I love your giggle. I really love your stories, reminds me of my upbringing. I love the fact that you are sharing all the families recipes. I love to receive recipes from friends and family and have saved quite a collection from over the years. 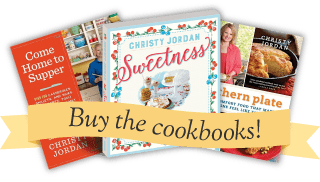 Thank you so much for all the wonderful southern recipes. I am from Minnesota but was raised most of my life in the south. I learned from my southern boyfriends mothers how to cook dishes. Thank you for adding to my collection. This was one of mom’s favorite cakes. I enjoyed it too but she really loved it. I think I’ll have to make one and think of her (and you) Thanks for reminding me of the beautiful cake. Hugs. 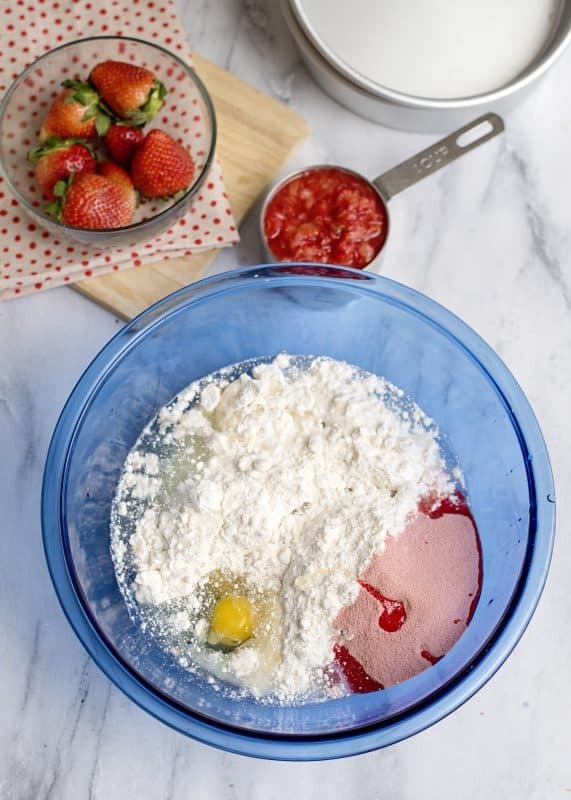 Can’t wait to try this recipe..strawberry cake is one of my fav memories as a kid! Also my mama’s Corelle pattern..I loved seeing yours. My mom still has the golden wheat (or something) and uses it daily. I unfortunately bought a peach and seafoam green pattern when I got married…but thanks to some free swagbucks I just upgraded to the cafe red and urban red :). I love Corelle and wouldn’t want to eat off of anything else! I really like your Memphis pattern–snazzy! 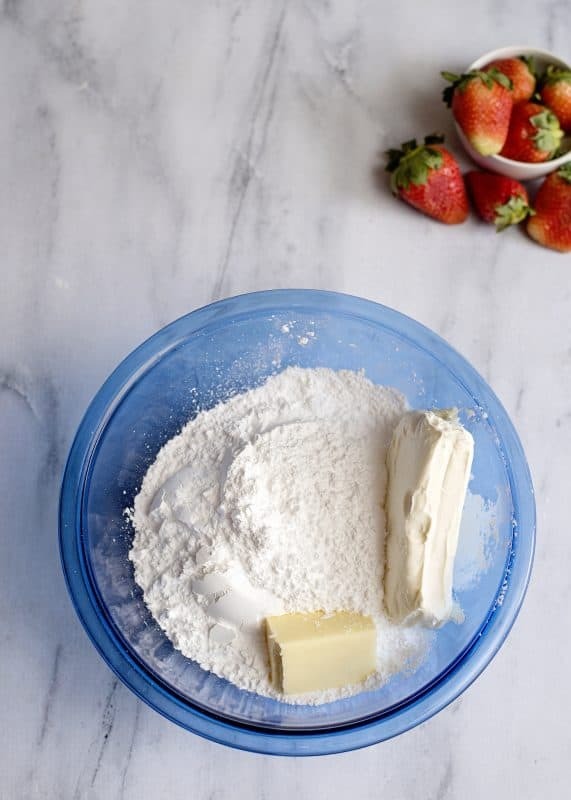 Just a tip: We always sprinkle our greased cake pans with sugar instead of flour. Same good release with much tastier cake edges. My mother left us a strawbeery chopping tool that is probably over 80 years old. They have a stem handle with proturding steel blades set in a cross pattern (+) These blades are rounded on the cutting edge so that they fit the rounded bottom of a bowl. We love how well they work. Apparently they haven’t been manufactured for many years, but we have found four more after years of searching flea markets. Three in our home, one at lake home and one in our RV. We take the three at home to church when the ladies are making strawberry dishes and they all love them. 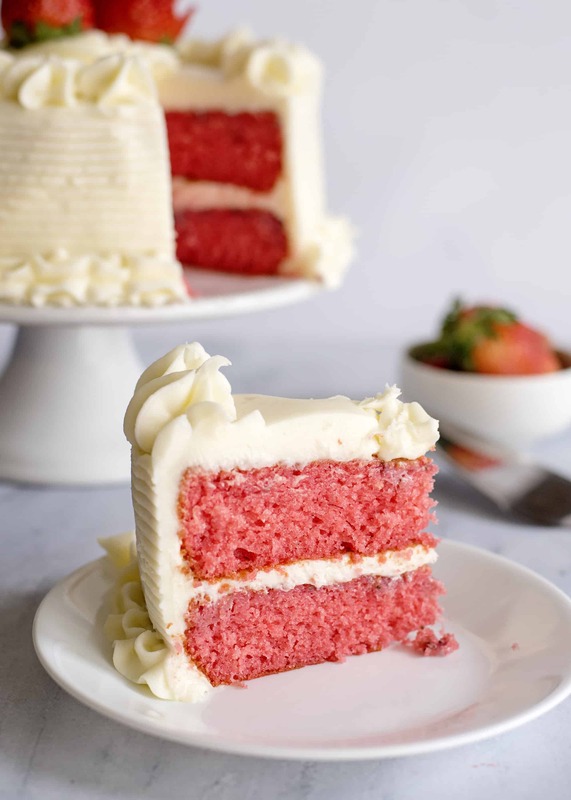 This is truly a great cake for spring! 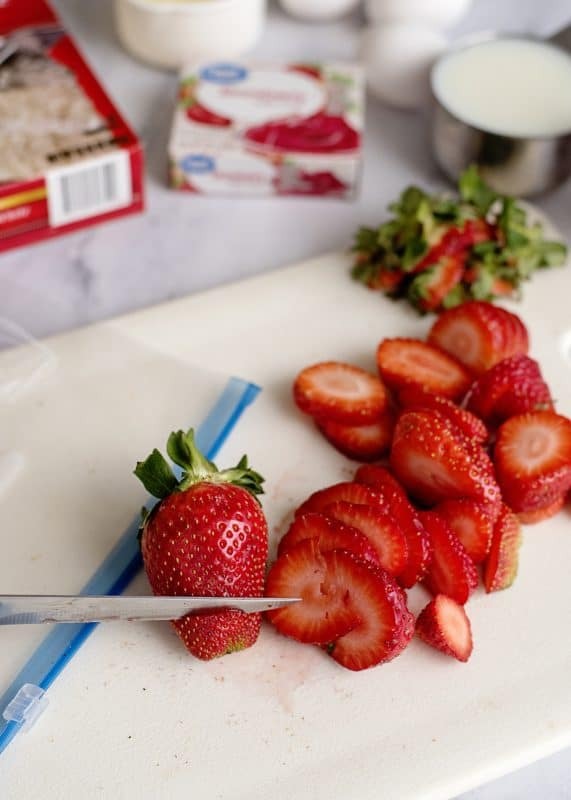 I couldn’t help but notice the silver colored knife in the photo where the strawberries were being prepared. I have one just like it….it was Mother’s and now it’s my very favorite! I remember her using it for years. I wish I knew where to buy another one. Do you remember where you got yours? I also found them in the gift shop at the North Mississippi Medical Center in Hamilton, AL at really great prices. P.S. I made this cake yesterday for my family and also one for my Father-in-law’s neighbors, everyone loved it! I sliced some strawberries and put them on top of the icing, delicious!! Christy and her recipes are awesome!! To: Debbie, the rada cutlery is the best. Makes perfect wedding gift and is priced reasonable too. Sharpens better and lasts longer than much more expensive brands. Thanks for the website. Please tell me when you have your book tour, you will be coming to Denver, Colorado area!! Let us know your tour schedule so we can prepare to get a book and a hug. I believe all your readers and fans feel the same way about you as you feel about your fans. You are so honestly real and I love your recipes. So many I grew up with and some new. Is the printed recipe correct? ONE cup of strawberries? Doesn’t seem like enough, unless the picture shown, you were using a sandwich size ziploc bag ;o}~ Just asking……. Thanks. 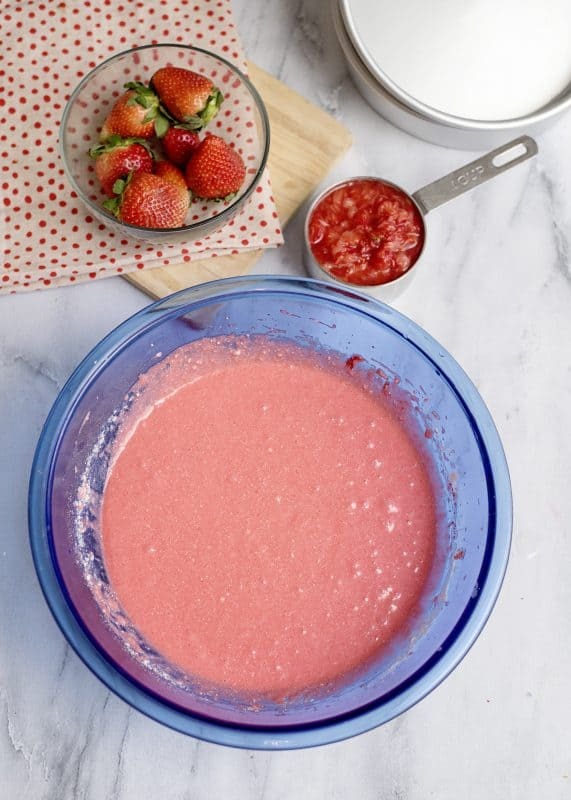 I am making this tomorrow — I’ll try to post about soon after — it will be a hit in my home I just know it because my husband LOVE strawberries as much as he loves me – wink!